C.M Punk has become the new face of the WWE. He is the “Stone Cold” Steve Austin of this generation. Fans got behind him for his take no prisoners attitude, no respect for authority and his want for a brighter and better future for the company. He won the WWE Championship on 2 different occasions in high-stakes situations (Madison Square Garden, Hometown Chicago), cut one of the most controversial promos in WWE history, and lived up to his own moniker of being the best wrestler on the planet today. How could he not win this award? He has had one of the most successful years in recent memory. He won the 2011 Royal Rumble, won the Raw Money In The Bank match, cashed the briefcase in to win the WWE Championship at Summerslam and then went on to defeat both John Cena and C.M Punk in a triple-threat Hell in a Cell match for his second reign as champion. You know you’re a big-time player when you have your own personal ring announcer for your entrances. With both superstars left with nothing to do in their singles careers, Kofi Kingston and Evan Bourne were put together as a tag-team in hopes of revitalizing the division. Unfortunately, the WWE tag-team scene is still as bad as it always has been. Despite the mediocrity of their competition, the 2 high-flyers have gotten over well with the crowd as the current tag-team champions. Their momentum has dropped off a bit with the suspension of Bourne, but with his return on the horizon, expect the success of Air Boom to pick up right where it left off. Once Kharma was forced to step away from action due to a pregnancy, the fate of the divas division was left in the hands of Kelly Kelly. She progressed as an in-ring competitor over the year, and had a good string of PPV matches for the Divas championship against the current champion Beth Phoenix. Gracing the cover of Maxim Magazine always helps as well. It’s to bad the entire Divas division as a whole is completely irrelevant. Woo Woo Woo! You know it! From not being on weekly television at the start of 2011, to now being a merchandise machine and one of the most popular superstars in the company, “Long-Island Iced Z” Zach Ryder has emerged from the cellar of the WWE to find huge success. His Youtube show and use of social media for his character was new, innovative and ultimately led to his monster push in 2011. Expect a U.S.A title reign soon to cap off his impressive year. Could anyone have predicted that Cody Rhodes would be achieving more success post-Legacy than Ted Dibiase? Cody Rhodes took the gimmick of being an emotionally scarred individual who truly believed he was scarred on the outside as well and took it to the limit. He now has returned to his “Dashing” persona, but has kept the edge that made him such an effective heel with the mask. 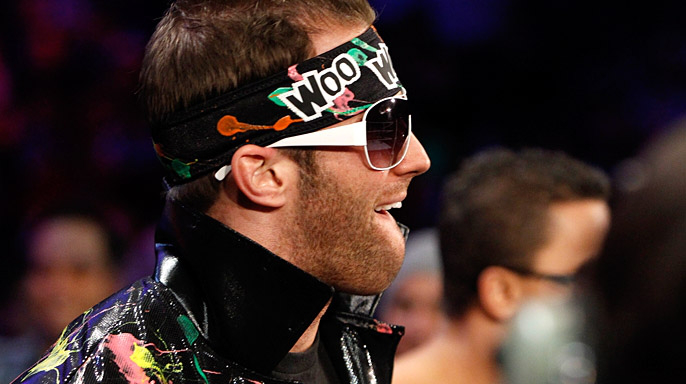 Is he an early favorite to win the 2012 Royal Rumble? At Over The Limit, Capitol Punishment, Money in the Bank and Summerslam, Christian and Randy Orton would tear the house down for the World Heavyweight Championship. Randy Orton would win 3 of the matches, but Christian proved that he belonged in the Main Events competing for gold. This is as good a match as your going to get with “5 moves of doom” John Cena. This 35 minute classic went above and beyond expectations. 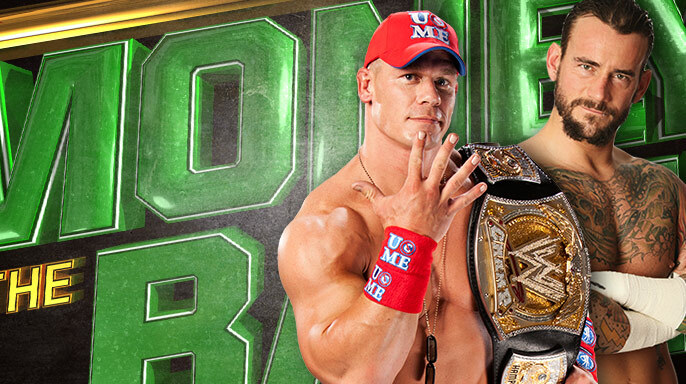 From the great in-ring action to the dramatic ending, John Cena vs C.M Punk is your clear-cut match of the year. This card was stacked. It had tremendous wrestling with Randy Orton and Christian, 2 action-packed Money in the Bank Ladder matches, and arguably the best match of the year with Cena and Punk. It’s rare that the best PPV of the year isn’t named Wrestlemania or Summerslam. This entry was posted in WWE and tagged Air Boom, Alberto Del Rio, C.M Punk, Christian, Cody Rhodes, Kelly Kelly, Money In The Bank, PPV, Randy Orton, WWE, Zack Ryder. Bookmark the permalink.